Organisations depend heavily on their IT infrastructure to be able to efficiently perform their business with less or no interruption at all. Unfortunately, many of the business leaders don’t even realise that until their organisations encounter network failure, system attack or other unlikely IT-related hiccups that they will come to understand the importance of building a solid IT infrastructure. It might sound like a medical cliché but the saying “an ounce of prevention is worth a pound of cure” also holds true for IT. Having a solid IT infrastructure in place prevents failures and downtimes that could potentially destroy the reputation of your company. How important is solid IT infrastructure? A reliable IT infrastructure is needed to carry out important day-to-day business operations. Productivity relies on how good your IT infrastructure performs. Reliable IT security mitigates cyber attack and other risks. Robust IT infrastructure can handle increasing workloads as your company grows. Provides dependable connectivity to various devices to use business software and applications. Provides resiliency for varying business requirements. 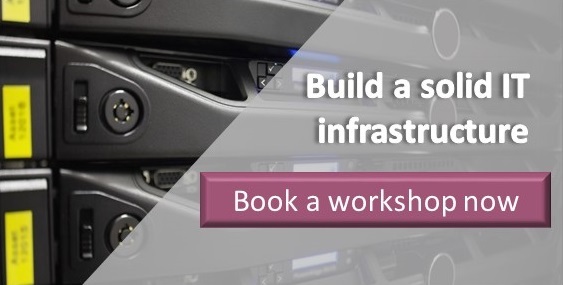 How to build a solid IT infrastructure? To build a reliable network infrastructure, business leaders should think about their end-users and how to improve their services. It is not just about purchasing and deploying superior hardware into the system but it is choosing the appropriate components to work with your enterprise networks, and incorporating suitable hardware maintenance strategy into your system. Pricing should not be the sole driver for your decision in purchasing components for your data centre or enterprise networking. IT leaders should choose hardware based on the capabilities. Your organisation needs a highly stable and uninterruptible power source. In case of power outage, you don’t have to worry about downtimes and data losses. This also protects your equipment from sudden power surge. Redundancy and backups are absolutely necessary. The organisation must create an efficient hardware sparing strategy and data loss prevention strategy. It is also important that you get immediate access to support desk and qualified engineers who can provide you with the software and hardware maintenance support you need. System administrators should stay updated with the current system metrics and identify the resources being accessed. Periodic system analysis such as the CPU or memory usage can help IT identify if the system is overloaded and if it needs additional capacity. Interconnectivity and IoT (Internet of Things) open the enterprise to potential risks for malicious traffic, hacking and other security breach issues. Hence, organisations should invest in security solutions that include antivirus, firewalls, and intrusion and detection system. System integrators like ITSM Corporation. can better assist your company in building a solid IT infrastructure. They can provide network assessment and qualified recommendation. 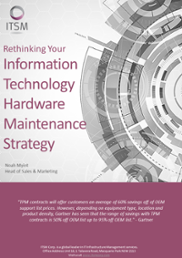 Learn about ITSM’s services and how we can help you build a solid IT infrastructure. Give us a call at +61 2 8355 1080 to talk to one of our IT experts. Or you can click the button below to schedule a complimentary workshop.